Blush from head to toe. The mule is definitely the It Shoe of 2017, and it’s one trend that’s not going to budge anytime soon. A black leather pair is a must-have, but this pink floral version is just as versatile. Pair it with loose jeans and a classic button-down for lazy days, or dress it up with a floaty frock for fancier occasions. Sneaker fever isn’t going away anytime soon—in fact, we dare say it’s only going to get bigger. Give your trusty white kicks a break, and switch things up with a pair of slip-on sneakers in an ultra-feminine hue. The pretty embroidery just makes it better! Velvet gives your OOTD a touch of opulence. 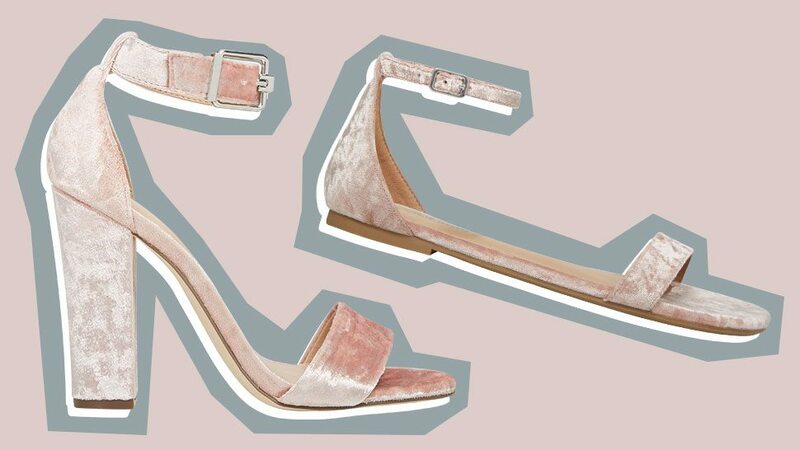 If you can’t fully commit to this trend just yet, try it out through a pair of pastel heels. It’s glam enough for a night out and dainty enough for daytime events. Don’t forget to brush your shoes after taking them out to keep them looking pristine. Single strap sandals can go with everything and anything in your closet. Get a pair in a soft pink hue, and treat it like a beige neutral. It’ll look lovely with a white shirtdress, or a printed playsuit, or your cropped top and denim combo. All shoes are available at the Call It Spring branches in Greenbelt 3 and SM Aura. Visit Call It Spring's Facebook page for more information. This article was created by Summit StoryLabs in partnership with Call It Spring .